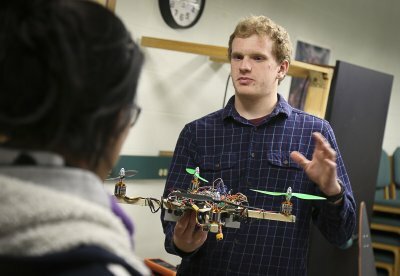 Students in the Electronics Class taught by John Ross Buschert spent the last month of the class working on projects using Arduino microcontroller board or Raspberry Pi computer. 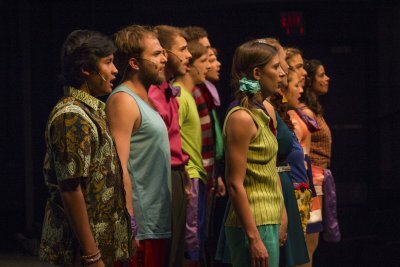 A Theme for this year's projects is accessibility. Many projects are attempts to make a device that might be of use to disabled people. 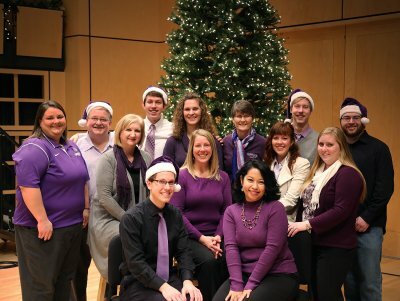 Goshen College presented the 12th annual musical celebration of Christmas, “A Festival of Carols,” Dec. 4 - 6, 2015. 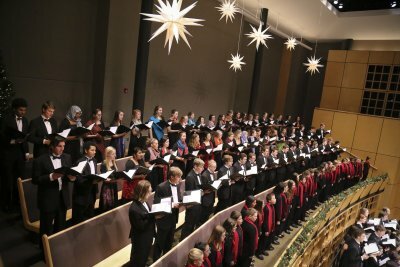 This special celebration of the holiday season featured four choirs and an orchestra, along with audience participation on traditional carols, all in a concert hall festively decorated with garlands, lights and trees. 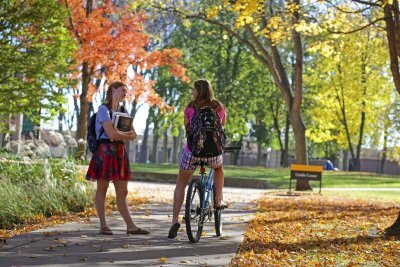 Photos from around campus during November, 2015. 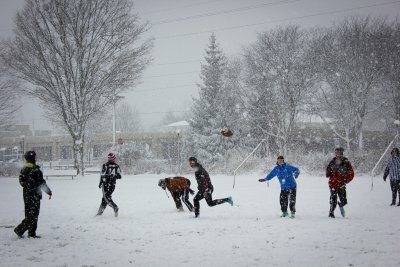 Students braved the snow for the 2015 Turkey Bowl touch football tournament on Nov. 21. 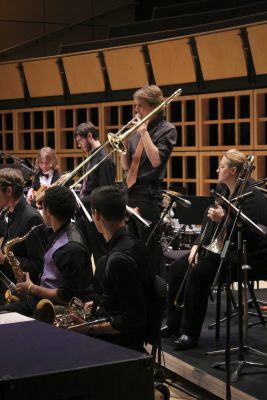 The All-Campus Band and Lavender Jazz performed on Friday, Nov. 20, 2015, in Sauder Concert Hall. 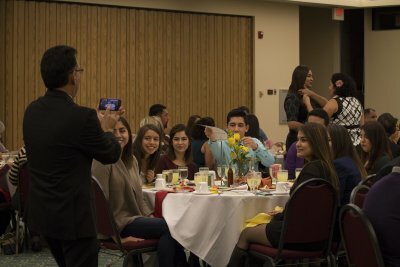 Students enjoyed food and games during the Nite at the RFC on Friday, Nov. 13, 2015. 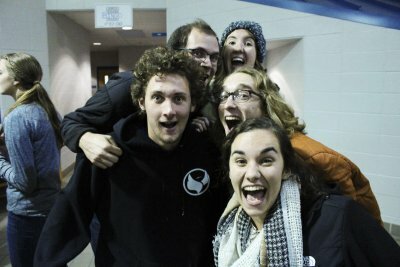 Goshen was Al Roker’s only stop in Indiana as part of “Rokerthon 2,” in which the TODAY Show meteorologist will report the weather from all 50 states in one week in an attempt to set a new Guinness world record.